A couple of years ago I created a nice jQuery-powered random animation for a web design project I was working on. I recently found some time to recover that work and I thought it could be easily customized for other projects, too. So I cleaned up the original code and I trasformed it into an easy-to-use jQuery plugin. The effect principle is actually very easy to understand and customize: a full width table is created in the target container and its cells are randomically turned on and off at a given interval. 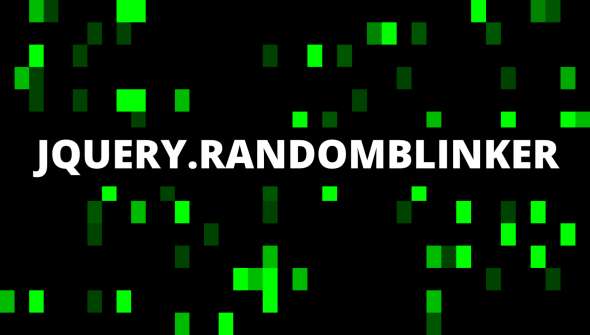 Go to the official jQuery.RandomBlinker page to see a working demo, read the full story, get usage instructions and download links!